Our new Poptropica books are coming out in just a few short weeks. One of them is a Poptropica-themed Mad Libs book. But you don't need to wait until November 8 to get your Poptropica Mad Libs fix. 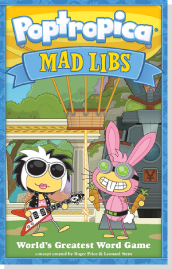 Just visit the Poptropica books page to download your free, printable Mad Lib!